'Madam, Motor'... 'Madam, Motor' This is how most of the Vietnamese motor-bikers in Hanoi used to approach me, trying to convince me to get on their bike for a ride for a certain amount of money. For those who didn't experience Vietnam yet, please be advised that crossing the streets is a challenge. The country in general and Hanoi in particular, is humming and buzzing with traffic. A steady stream of motorbikes, rickshaws and cars driving around in both directions. Not once, did I join a group of people or someone else just to cross the street, and I won't lie if I say that sometimes I just hold my breath, praying silently I will make it safe to the other side of the street. 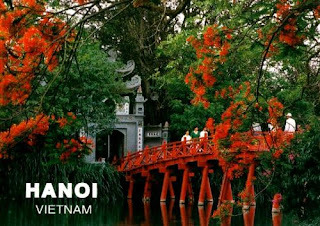 I arrived to Hanoi at the end of January, few days after Tet Holiday and the streets of the city were even more buzzing and humming, especially during night time, when families went out for dinner, ice cream treat and some loud Karaoke. One of the reasons was the place I've stayed. I booked a room in Hanoi Hibiscus Hotel, a family hotel, few meters away from the Saint Joseph's Cathedral in the Old Quarter and it instantly became my 'home away from home' place to stay. 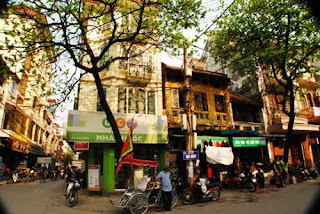 The central location of the hotel and the friendly professional staff, made my stay much easier than in Ho Chi Minh City, where I landed, which has inspired some culture shock. 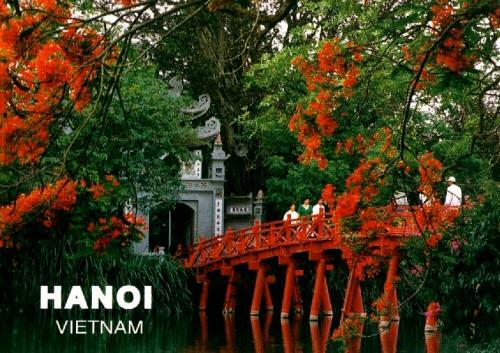 I've booked an initial tour to get to know some parts of the city with Hanoi City Tours, a free tour by a local young student, who wants to improve his/hers English skills and at the same time introduce and promote their city. I chose to have my guided tour in the Old Quarter or what called the '36 Streets', a labyrinth of old streets, evolved in the 13th century when artisan guilds were concentrated along each of the original 36 lanes, and clustered by speciality; Silver street (where you can find silver jewelry as well as gravestones), Silk Street, Mats Street, Paper Street, etc. Each of the 36 craft guilds once had its own communal house, however, like most of the quarter's pagoda and temples, they were shut down during the communist takeover and transformed into schools or public housing. 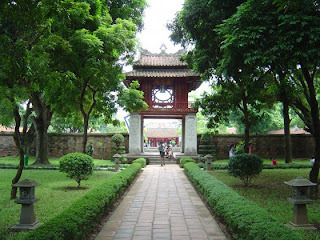 In the outskirts of the Old Quarter, there is the Temple of Literature (located to the south of the Fine Arts Museum at Pho Quoc Tu Giam street). When it was first built, it was the school of the Elite of the Nation and Vietnam's first University. After passing exams at the local levels, scholars who wanted to become seniors came here to study for rigorous examinations. It got its name 'Temple of Literature' at the beginning of the 19th century, and now serves as a place where people and mostly students come and write a prayer and a wish and ask for success in their studies. If you want to be like the locals, have your wish or prayer written by one of the calligraphers outside the temple. One of the most beautiful pagodas that exists in Hanoi is the Tran Quoc Pagoda, which is located beside the Red River and perhaps is the oldest one in Hanoi, dated from the year of 1639. I was there one afternoon watching the crowd lighting perfumed incense and giving fruits and fake money to their Gods, just at the last days of Tet Holiday. While you are in the area, you can walk along the river towards the Ho Chi Minh Mausoleum and the Presidential Palacenear by. Make sure to check the opening hours in advance and the strict rules of the mausoleum. By the time I got there by noon, it was already closed. Even though I didn't plan it, I paid a visit to Hoa Lo Prison, also known as the infamous Hanoi Hilton. The prison was used by the French people who imprisoned, tortured and guillotined Vietnamese revolutionaries, and later on was used by the Vietnamese who prisoned American pilots, including the Republican senator John McCain. One notices the hinted propaganda by the way the Vietnamese represent themselves as considerate to the American needs. From Hanoi, it is very easy to book a day-or two day trips to Halong Bay or book a midnight train to Sapa in the North. 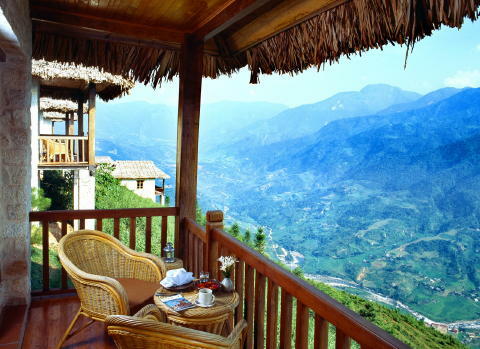 April is a great time to visit Vietnam. The weather is comfortable, the trees are blooming and the food is always great.